Emmett Township Department of Public Safety Officer Ben Hall says it was no big deal. But Ms. DeLorenzo was blown away. Photo courtesy of Emmet Township Dept of Public Safety. There are all kinds of ways for cops to handle motor vehicle violations. If a motorist is guilty of a minor infraction, is respectful and doesn’t do the whole “I pay your salary!” bit, odds are they’re going to get a warning and be on their way. But what about something serious like not having a child in a legally required car seat? In Michigan, Emmett Township Department of Public Safety Officer Ben Hall went above and beyond after that exact scenario played out recently. He could have written the mother up. Instead he bought a car seat for her. “The easiest 50 bucks I ever spent,” Hall told reporters. The stop occurred after someone reported there was a young child riding without a car seat. Alexis DeLorenzo and her 5-year-old daughter were riding in the car of a friend. The friend was driving. Ms. DeLorenzo was nervous. Like a lot of Americans these days she’s recently fallen on hard financial times and couldn’t come up with the cash for another car seat when her car was repossessed with her daughter’s booster seat still inside, according to Fox 17 News. “We’re living paycheck to paycheck, hand to mouth, borrowing money from friends,” she told reporters. 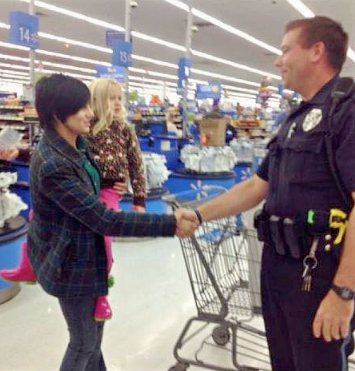 Officer Hall told her to meet him at a Walmart in 15 minutes. 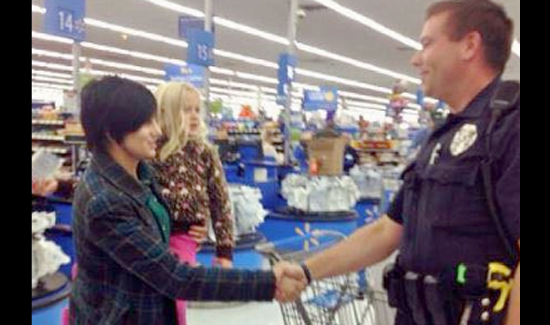 He grabbed a child-seat, brought it to the register and paid for it out of his own pocket. Like most quiet heroes that go above and beyond, Hall played down the episode and said anyone in his spot would have done the same thing. If that were true the world would be a better place. According to the Centers for Disease Control and Prevention, the use of car seats can reduce the risk for death to infants younger than 1 year old by 71 percent and can reduce the risk for death to children ages 1 to 4 by 54 percent.